Criminal arrests and prosecutions involving death of another human being are the most serious of all. Law enforcement agencies dedicate their best detectives and the most extensive resources to these cases. Prosecutors pursue these cases with great vigor. 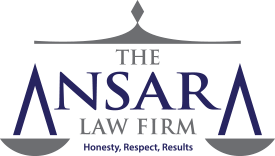 The Fort Lauderdale homicide defense attorneys at The Ansara Law Firm, recognize the severity of these charges and how imperative it is to be fully prepared. First and foremost, one must have a thorough understanding of the varying levels of homicide. Knowing how these crimes are proven is critical to recognizing and identifying strategies to raising reasonable doubt. F.S. § 782 defines homicide as the killing of one human being by another. This can be either lawful or unlawful. Law enforcement and prosecutors will analyze each case of homicide before determining if it falls into the latter category. If so, charges will be filed. Homicides that are “lawful” are either excusable or justified. Justified Homicide – This is when a homicide is committed as an act of self-defense from an attack that involved deadly force. This could be if a death occurred while you fought back or resisted an attack, if the death occurred while you were defending another person (especially if he or she is in a protected class), if someone tried to murder you and you fought back, or if you killed someone who was attempting to commit a felony in your dwelling. Excusable Homicide – This is when a homicide was committed by someone who is legally insane, such that he or she is unable to appreciate the consequences of their actions or the difference between right and wrong. It could also be excusable if there was no unlawful intent or deadly weapons, if it occurred with extreme provocation from the victim and/or it did not occur in a cruel or unusual manner. Excusable homicide may also be shown when the death resulted from an accident or misfortune while defendant was engaging in usual, ordinary caution and without unlawful intent. These assertions may be presented as a defense even before charges are filed, and may even prevent the filing of charges. This is why it is imperative for suspects to hire a lawyer right away, even if you haven’t yet been arrested. However, if the state prosecutes a homicide, it is deemed as some form of either murder or manslaughter. If that is the case, it is the prosecutor who will decide the degree of homicide with which to charge you. First-degree murder is the most serious of all murder charges, and it’s codified in F.S. § 782.04. Per state law, an unlawful killing may be considered first-degree murder if the slaying was intentional and executed with prior thought and planning. It may also be filed as a first-degree murder charge if the death occurred while the suspect was committing or attempting to commit another serious crime. First-degree murder may also be charged when committed during specified drug offenses. In Florida, first-degree murder is a capital felony, punishable by either life in prison with no possibility of parole or the death penalty. Second-degree murder, per F.S. § 782.04(3)-(4), is essentially a case in which a death occurs either in the heat of passion or by way of an act so dangerous it evinces reckless disregard for human life. The classic example is a person learns his or her spouse is having an affair and immediately kills the partner or paramour. But it can be broader than that too. The killing occurred by an act that was imminently dangerous to another and demonstrated a depraved mind without regard for human life. Premeditation and intent to kill are not necessary elements of second-degree murder in Florida. So for example, if a person fires celebratory shots at a gathering and one of those bullets strikes and kills someone, he or she may be charged with second-degree murder – even if there was no intent or premeditation. The act of firing a gun at or near a crowd could be considered an act that shows disregard for human life. Third-degree murder under Florida law is a second-degree felony, punishable by up to 15 years in prison. Per F.S. § 782.04 (4), this is when a death occurs unintentionally when a person is committing or attempting to commit another felony. Attempted felony murder may be charged if you engage in the felony – or a co-defendant engages in a felony – that could have resulted in the death of someone else, but does not. A person can be charged with this offense for simply supporting or encouraging the underlying felony. Manslaughter is essentially murder without intent. It is the unlawful killing of another human being without malice aforethought. Manslaughter charges, per F.S. § 782.07, may be filed as either voluntary or involuntary. Voluntary manslaughter involves a slaying that occurs in the heat of passion and without planning. Involuntary manslaughter, sometimes referred to as criminally negligent homicide, happens when a death occurs as the result of recklessness or negligence. These are charges that may be filed when a human being (including an unborn child) is killed by defendant’s reckless operation of either a motor vehicle or marine vessel in a manner likely to cause death or great bodily harm to another person. Vehicular homicide is codified in F.S. § 782.071, and vessel homicide is codified in F.S. § 782.072. Generally, these are charged as second-degree felonies, punishable by up to 15 years in prison. However, if it can be shown that at the time of accident, defendant knew or should have known an accident occurred and failed to stay at the scene to provide information or render aid as required by law, he or she may be charged with a first-degree felony, punishable by up to 30 years in prison. This is when a person deliberately assists another person in the commission of a suicide or encourages, advertises, promotes, permits, or publicizes such an act. Assisting a self-murder per F.S. § 782.08 is a second-degree felony, punishable by up to 15 years in prison, while exploitation of self-murder per F.S. § 782.081 is a third-degree felony, punishable by up to five years in prison. If a person kills someone else unnecessarily – even while attempting to stop or resist a person attempting another felony or after such an attempt failed – is considered a form of manslaughter, a second-degree felony punishable by up to 15 years in prison. Anyone facing any of these charges should seek immediate legal counsel from an experienced criminal defense team.